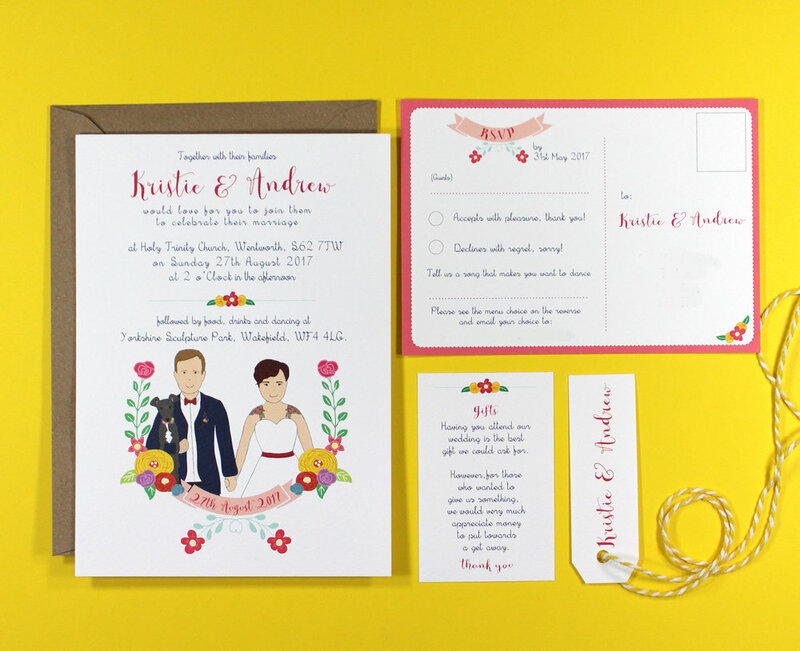 Kristie and Andy wanted something to fit with their theme bright colour theme to work alongside my Couple Portrait wedding stationery. The flowers were created to incorporate the colours and we included their portrait & their pet dog too! 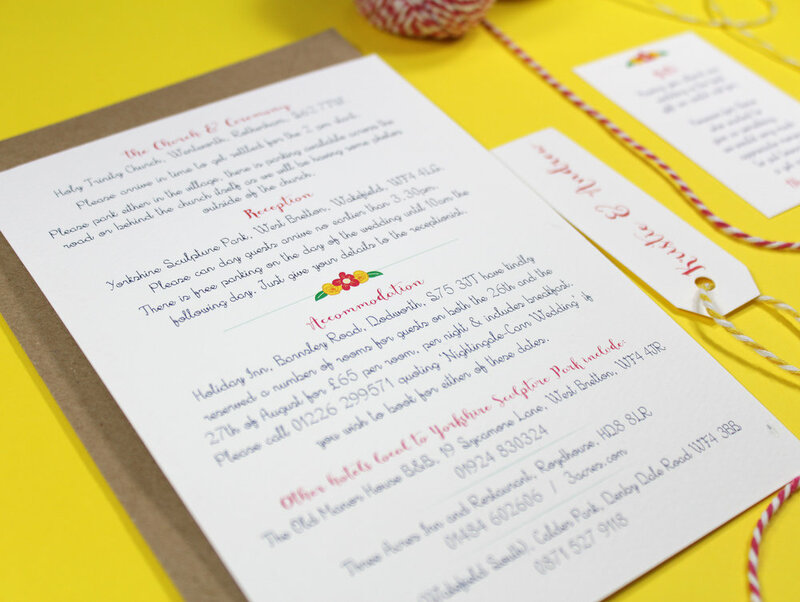 5'x7' flat card Double sided Invitation & guest information card. 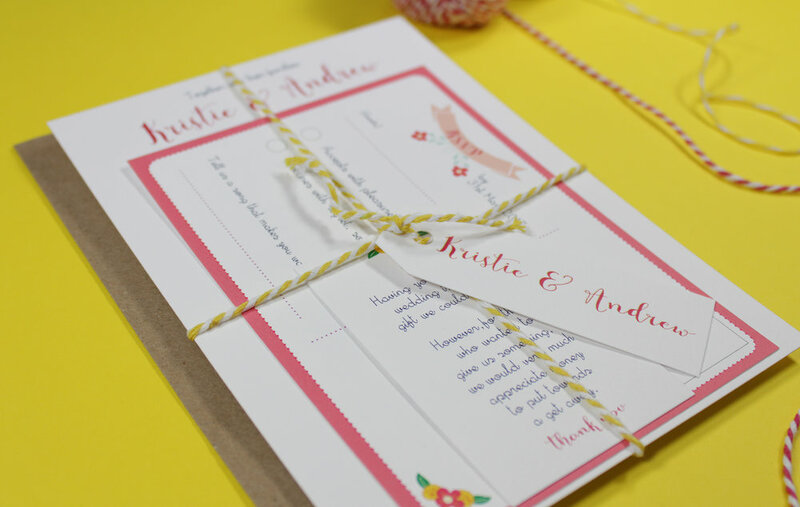 A6 RSVP card including menu choices for day guests, small gift card, tag and yellow twine. Tintoretto Gesso 350gsm white card — This fine Italian 'hammered' textured card stock. Held together with yellow baker twine. Kraft envelopes.